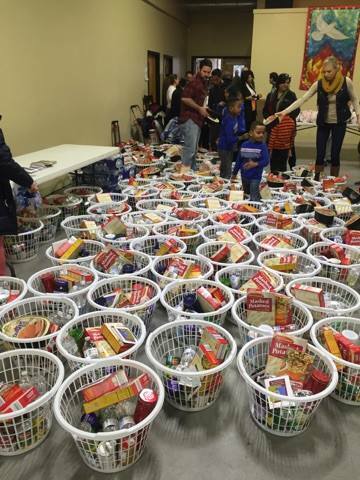 Through our partnership with North Suburban Church we have been able to distribute to families in need, within the Roger Park community, upwards of 200 baskets of food whereby they are able to enjoy a nice holiday meal for Thanksgiving. We are always looking to encourage and promote healthy family values and one of the would be the opportunity to spend time as a family around the dinner table during the holidays. Each additional basket we add to the baskets North Suburban Church provides us costs us $75.00 and last year we add 100 baskets to the 100 we received. If you want to help us provided food to under resourced families this holiday season please choose the “Donate to FEC” heart and then follow the steps for making the donation.